I had a flash fiction piece published by this interesting project called Found Polaroids. The website’s founder has been collecting polaroids from all over, and as the site says: “The result is this: Found Polaroids, a collection of over 6000 images.” More than one hundred photos already live on the site, but that’s just the start. “Each image has its own story and context, all of which are as of yet unknown to us,” the About page says. It sets writers up for a sort of lowbrow ekphrasis. 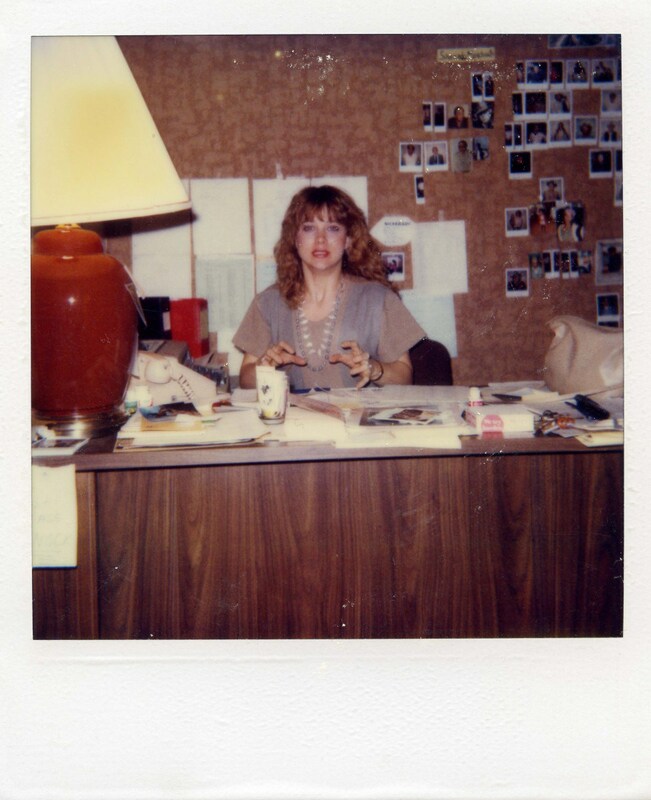 I looked at this image (Polaroid #88), and I wondered who was taking the photo and why there were more photos on the wall and why the woman pictured looked so freaking stressed. And the trappings of a story popped into my head. Robbie begged me to go for a ride in his new, old Corvette. “A ’62 Stingray. Cherry red. 8-Track,” he said, like specificity would sweeten the deal. Robbie snatched the Polaroid from my desk, then sat in its place. His suit seemed too shiny, teeth too white, hair too slick, half truths too promising. If Robbie knew half as much as he swore when I first called, he’d be the Dean of Harvard Business.